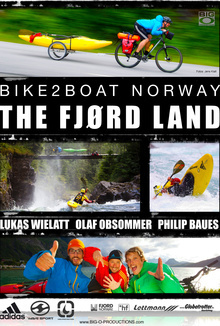 Norway - with Bike and Boat through the Land of Fjords and Waterfalls. Obsommer, Jens Klatt and Philip Baues will travel from river to river – by fair means and with their kayaks on a bicycle trailer. This time it‘s not only about the highest waterfall, it‘s about the journey itself: the scenery, the people and about discovering simplicity.